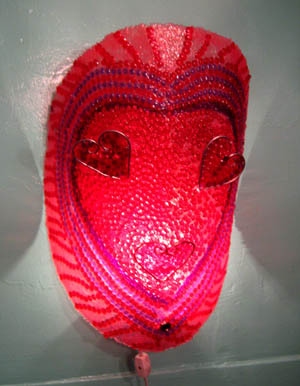 This lovely heart wall light glowing red and pink with a hint of purple will complete your love nest. 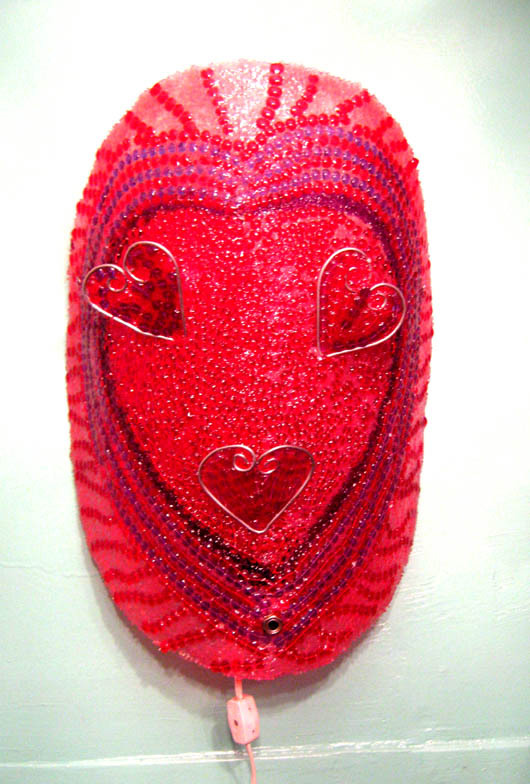 There is 3 small hearts on the outside. Size 16" x 12" x 6”, white cord, on/off switch and CFL bulb.